Yeah it's only been a couple of months since mecha-neko played the original game but whatever, I'm playing this anyway. Half-Life's one of my favourite games, and I want to see what happened when these fans got hold of it and decided to 'improve it'. Click the pictures to view in extreme 1280x800 resolution. Yeah, yeah, I know, I should buy a new monitor. This one's another game request, and apparently it's an overhead run and gun a bit like Mercs, which I played early last year on the Megadrive/Genesis and didn't much like. Looking back though, it's hard to tell what exactly I didn't like about the game. Mostly because I barely wrote anything about it. Okay it was a mindless shoot 'em up so I probably didn't have much to work with, but I'm sure I could have come up with something a bit more insightful than "Sup guys, I'm in a truck now! Truck beats goons. Oh damn. Tank beats truck." Guess I'm adding that one to the list of games I'm going to have to replay some day. 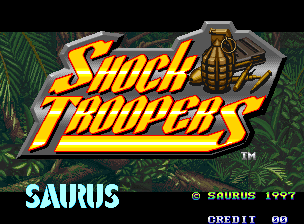 But anyway, here's Shock Troopers. It's a mindless shoot 'em up! 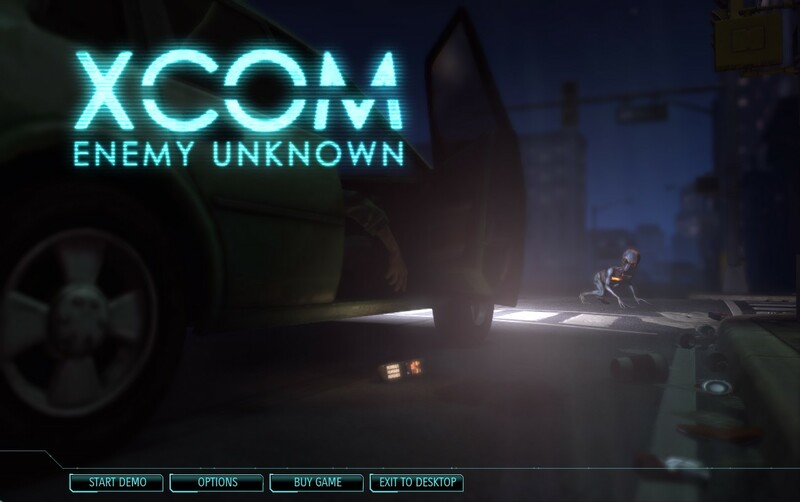 Today I'm having a go at the demo of XCOM: Enemy Unknown, the remake of classic 1994 turn based tactics game UFO: Enemy Unknown/X-COM: UFO Defense. I guess they took the bits they liked most from each title and combined them. 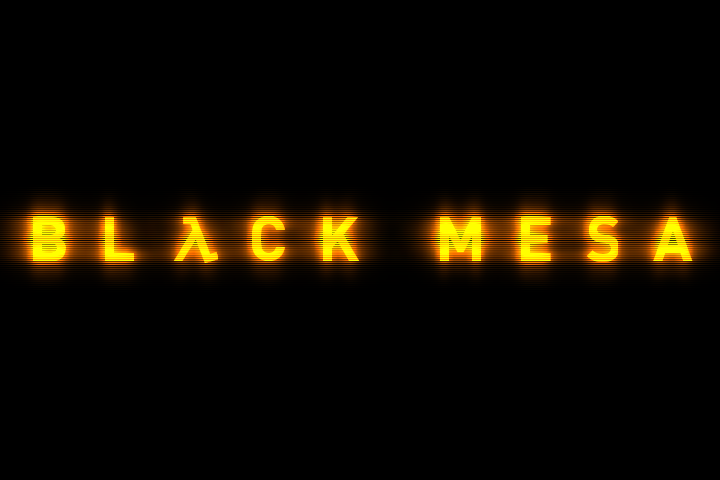 This is the tactical XCOM game by Firaxis by the way, not the first person shooter one by the Bioshock 2 developers. I don't know why publishers keep getting the idea that what classic strategy game fans would really like to play is a fast paced shoot 'em up. Fortunately this time there's a game for everyone. Click the pics for a slightly better resolution. I remember playing this one before a few years back, though nothing much about what I actually did in it. But it was requested so I'm playing it again. It seemed like a good time for it anyway, seeing as it's the game's 20th anniversary today... in Europe. This was originally called 'Triforce of the Gods' in Japan, but it was changed for the English release because Nintendo of America were getting rid of references to religion at the time. Also it was an excuse to stick Link's name in the title again. Zelda always gets all the fame, and she's barely even in the games. Here's a pickle. Ray's gone to all that trouble playing those Judge Dredd games and I've already played the only Judge Dredd FPS, Judge Dredd: Dredd vs. Death, back in January! Never fear, I've had a look around and I've found something completely unrelated to play instead! Whoa, I thought his pistol in the earlier Judge Dredd games looked a bit wimpy, but now they've gone full speed in the other direction. That thing really looks like it could fire half a dozen different kinds of bullets. At once. By 1997 the Judge Dredd franchise had left the 16-bit era behind for a new start on the PlayStation. Of course they couldn't call this 'Judge Dredd 2', because that might make their new audience feel like they were missing out on a game. But they couldn't be bothered to come up with a subtitle either, so yeah this is the fifth game in the franchise with the same name. In a row. Today I'm playing... Judge Dredd, aka Judge Dredd - The Movie as it's allegedly based in some way on the 1995 Stallone film, and even has him on the cover. 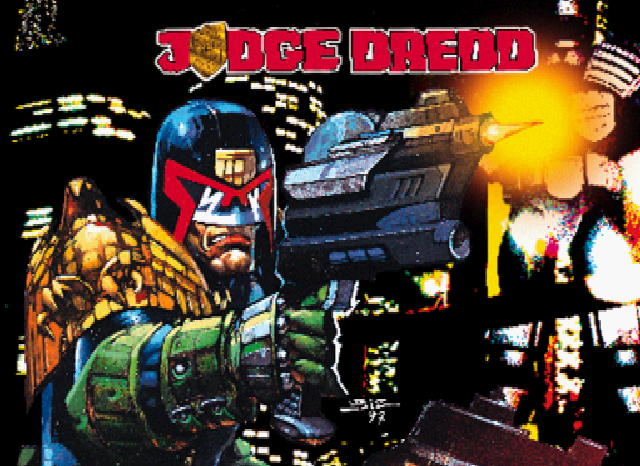 By 1995 there had been already been two Judge Dredd games released, Judge Dredd and, uh, Judge Dredd, both of them only on computers and neither of them much fun. But now it's the consoles' turn to show off what they can do with the licence. 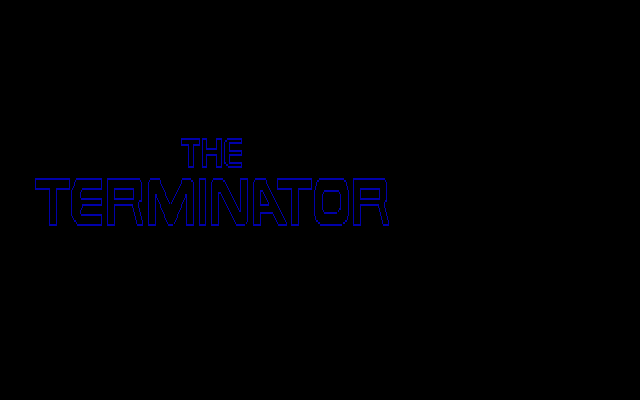 This one came out on the Genesis/Mega Drive, Super Nintendo, and DOS, and I'm playing the SNES game. Will it succeed where the other games failed, or will it be as bad as the movie? Well they've already tripped at the first hurdle by calling it Judge Dredd again. 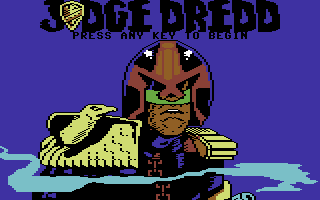 This is the second of the Judge Dredd games, released on computers like the Amiga, Atari ST and Commodore 64. 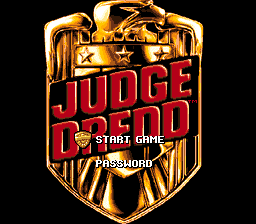 They apparently couldn't be bothered coming up for a new name for it though, so they just called it Judge Dredd, like the first game. So to tell them apart, from now on the first game shall be referred to as Judge Dredd '87, and the second as Dredd's Big Day Out. Oh right, I'm playing the Atari ST version by the way. Yeah sorry I've gone crazy again and decided to waste the best part of a week on games no one cares about. No RPGs, no requested games, not even a Zelda game for the entire week. Just a guy with a big helmet and a metal bird on his shoulder shooting people. There's been a few games made about 2000AD's Dirty Harry inspired fascist super-cop, but this is the very first of them, released on the Commodore 64 and ZX Spectrum in the mid 80s. I hear Dredd's comic book stories are actually pretty decent, but all I know about the character comes from vague recollections of the 1995 Stallone movie. 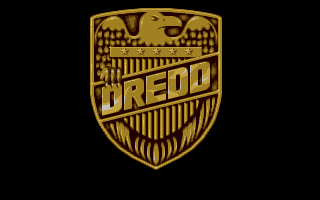 So I'm pretty much expecting Dredd's going to take his helmet off about ten minutes in, then the rest of the game will be about his run from the law, punctuated by slurred one liners and a digital Rob Schneider giving his best imitation of comedy. 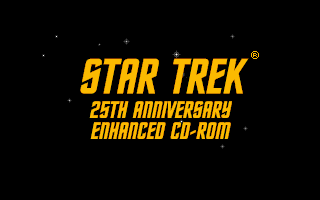 I just found out it's the 46th anniversary of Star Trek, so I though I'd celebrate this monumental occasion by playing an original series Trek game. Okay maybe I'm a few days late, but apparently the original version of the game came out an entire year late (and the other versions even later), so hey I'm not doing so bad. This is the PC/Amiga/Mac game I'm playing by the way. There's two other games with the same name, one for NES and one on the Game Boy, but it seems that they're all entirely different. 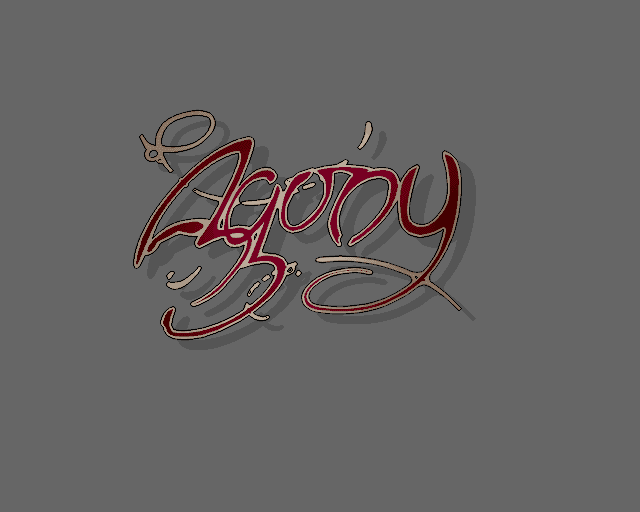 Today I'm taking a look at classic Amiga shoot 'em up Agony, another game request. I have played this before, but fortunately I always got wiped out about 10 seconds into level one, so everything past that will all be new to me. If I can get that far. I must have done something wrong in a previous life because I'm playing Clive Barker's Nightbreed: The Interactive Movie. Ray played Nightbreed: The Action Game over a year ago and it definitely changed his life. 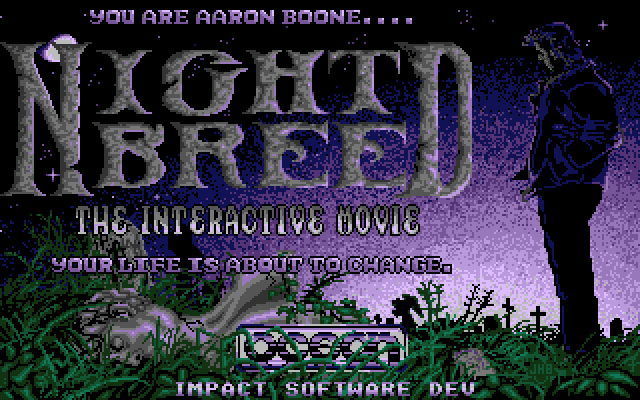 Nightbreed is one of the very first games I can remember and they're not happy memories. The film's alright-ish; it's tense, exciting, bizarre stuff. If you haven't seen it yet, be warned. This game contains spoilers for the film! 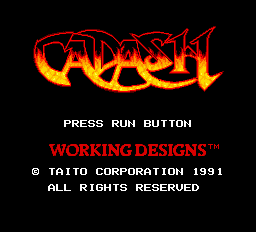 As requested, today I'm taking a look at Cadash, on the TurboGrafx-16 console. This is a port of a 1989 arcade game of the same name, and looking at those flames on the logo I'm guessing it's mostly going to be about walking to the right and hitting things with a sword. 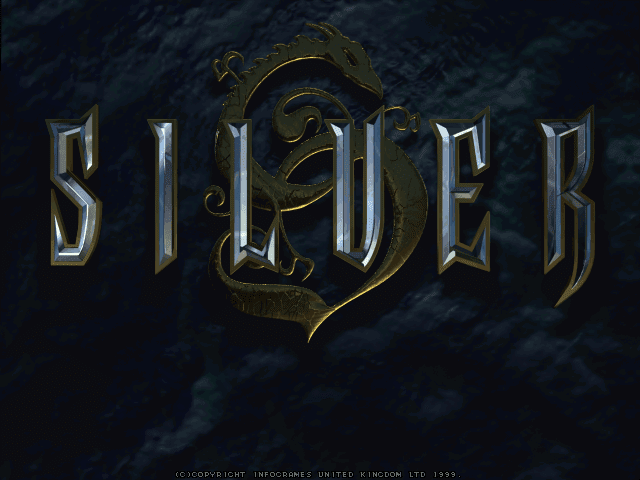 Today I'm playing Silver, one of the ultimate RPGs of the last millennium. Uh, I mean it was released in late 1999, I don't know if it's actually any good. Logo's nice though. Very shiny. I'm playing the PC version, though it was also released the next year on Dreamcast and Mac. 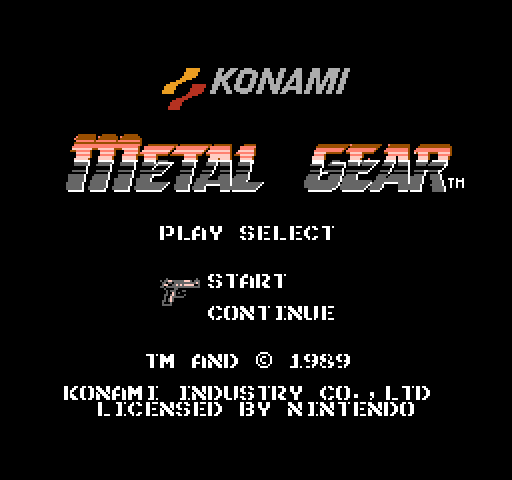 Because YOU demanded it (and I was probably going to get around to it at some point anyway), today I'm taking a look at the very first Metal Gear. The game originally came out for the MSX2 computer, and I was surprised to find out that it actually did get an English language release in Europe, though apparently it doesn't have a great translation. A few years later the C64, PC and NES got their own ports of the game, and I've heard that they weren't translated from the MSX particularly well either. I'll be playing the Nintendo version so I suppose I'll find out.